The Dave Smith “Sequential Circuits” Prophet 6 is a 6 voice, analogue polyphonic synth. Dave Smith Instruments revived the “Sequential Circuits” name 20 years after the company’s demise when DSI decided to move back into the analogue synth world. The original Prophet 5 was the first programmable poly synth that could store its settings internally and be called up from different banks rather than writing down settings manually in a notebook. In fact, that keyboard is considered one of the most important synths in electronic music history. Today, I will be take a deep look into the Prophet 6 for this review. I’ll also directly compare it to other Dave Smith products such as the Prophet ‘08 as well as the Dave Smith Pro 2. And in order to better illustrate this point, please feel free to take a look at our interactive guide below which allows you to see how well the Prophet 6 stacks up against other notable keyboards on the market. The fact that I can mention the physical traits of this synth says a lot about the current state of the music instrument consumer industry. Most younger musicians are more familiar with soft synths and other virtual instruments than they are with these physical models, but the times are changing. Many musicians can remember a not so distant time when there weren’t so many physical synth keyboards nor when they were so popular. Younger musicians as well as older ones who remember the heyday of these instruments are drawn to the fact keyboards like the Prophet 6 or the newer Moogs are physical. They are not contained within a computer nor are they part of a Korg digital piano or workstation like the Korg Kronos. The physical connection to the music returns when you remove some of the need for software. The Prophet 6 is a very stylish instrument. Bordered by dark, oiled mahogany, and glowing red from several lights, the keyboard looks retro and modern at the same time. The instrument also sports a silver nameplate on the top panel reading “Prophet-6” and another on the bottom trimming reading “Sequential Circuits.” This is a similar look for many of the instruments in the DSI synth line. Every knob, button, and wheel feel of the utmost quality on all three of these instruments. The knobs on the Pro 2 are slightly stiffer, and the ones on the ‘08 are slightly freer, but overall they feel great. Dedicated function knobs are well executed on these instruments. 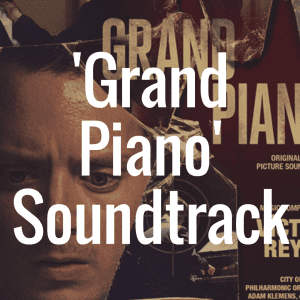 The keyboard itself is a semi weighted, 49 key instrument. The Pro 2 and Prophet ‘08 are different in that they are 44 and 61 key instruments, respectively. Being that this is not a digital 88-key piano, the semi weighted choice for this Prophet 6 is perfect. Form follows functions here, and this keyboard is not meant for classical playing. The Pro 2 and Prophet 6 have a better feel overall compared to the Prophet ‘08, though they are still quite similar. The instruments as a whole are less than 3 feet long, roughly a foot wide and 5 inches high, and weigh only 20 pounds. Its overall size and weight is comparable to both the Pro 2 and the Prophet 08 and would not be a factor in deciding which is the best for you. 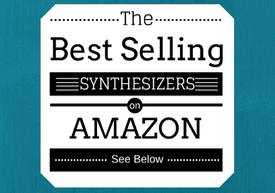 Below, please take a moment to view some of the best-selling synthesizers currently on sale at Amazon, and see how well they stack up to the Prophet 6. There are many differences between the connections of the three instruments, but most intriguing is the Pro 2’s use of CV (control voltage) inputs and outputs as well as audio inputs. This allows the Pro 2 to be integrated within modular rigs, which are becoming more popular these days. The Prophet ‘08 lacks both a low-pass filter cutoff pedal input as well a sequencer start/stop input making it a less versatile than the Prophet 6. Additionally, the 08’s lack of USB makes it slightly more difficult to communicate with a computer setup. I think the Prophet 6 has just the right amount of connections; you really would be reaching to ask for more, but perhaps if there were an external BPM tap pedal input (which none of the DSI models offer), that would be perfect. Before we move onto how the synth sounds, it is important to describe and review how it functions. The Prophet 6 is an analogue poly synth. Meaning, it relies on voltage controlled oscillators, analog filters, envelopes, and more to make its sound. The term “analog” has had a major revival in the past decade, but Dave Smith isn’t just using this as a buzzword: this keyboard should satisfy any analog purists. The ‘08 also uses analog oscillators, but they are DCO (digitally controlled) rather than VCO. The Pro 2 is in a completely different category and relies on completely digital oscillators. 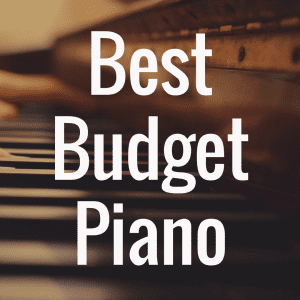 Though some believe there are significant differences, unless you’ve been in the game for a long time, most would not be able to pick out the subtleties in timbral differences of the instruments. For those new to synths, there is a limit on the amount of “voices” that can be played at once on this keyboard. You can only play 6 notes simultaneously on this keyboard. This is very normal, but may be surprising for those used to software and other less analog keyboard set ups. The Prophet 6 has 2 oscillators per voice, plus a sub oscillator, something the Prophet ‘08 lacks. The most important comparison between the 3 keyboards I have mentioned is this: both the Prophet 6 and ‘08 are poly synths (the ‘08 has 8 voices rather than 6). The Pro 2 is a mono, or para synth. For those looking for an instrument you can play a chord on, the Pro 2 isn’t for you. You can essentially only play one note at a time on the Pro 2, which makes it perfect for leads and synth bass lines, and incapable of playing pads or other harmonic elements. This is a review, not a tutorial so I will not go incredibly in depth into how to use the features on the Prophet 6; this is a very deep synth that I encourage any reader to get lost in. First, the routing of the Prophet 6 begins with the aforementioned VCO analog oscillators. These are continuously variable waveform oscillators, something that the Prophet ‘08 lacks. This allows you to get an infinite (though limited to finite perception) sounds from square, to sawtooth, to triangle. The sub-octave oscillator is fixed to a triangle wave. Additionally the Prophet 6 has an LFO that can be used to modulate a variety of parameters. The poly-mod section goes even deeper and allows multiple sources to modulate multiple parameters at the same time. Also included on the Prophet 6 is aftertouch, which means that the synth responds to the amount of pressure applied to the key after the initial velocity reading. This data can be used to modulate many aspects of the Prophet like amplitude, filters, LFO speed and depth. 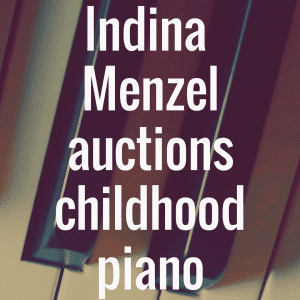 This lends itself to creating wildly unique sounds and being an instrument that’s a joy to perform live on—once you get the hang of it. I will admit it is tough to get your head around everything. Typical pitch bend and mod wheels are included on the Prophet. Just like you may have guessed, these are highly variable and editable as well. The Prophet 6 also has some other features that are common to other synths, but very cool nonetheless. Included is a sequencer and arpeggiator. The sequencer can be up to 64 steps, including notes and rests. Personally, I’m not a sequencer guy, but I’m sure this is a great addition for other users. The arpeggiator is very fun. If you are a fan of the show “Stranger Things,” be sure to check this keyboard out. I was able to create an almost identical arp sound that is featured in the show’s theme song. When I was testing this model out there was the Prophet 6, a Prophet ‘08, and a Pro 2 right by each other and I set up an interesting arp while improvising with pads on the ‘08 and lead on the Pro 2. Both the sequencer and the arpeggiator can be linked to a master clock with a tap tempo, or an external MIDI clock. One advantage of the 6 is that the “hold feature” is closer to the actual keybed than on the ’08, which facilitates easier live performance usage. In short, the Prophet 6 sounds amazing. All the features I’ve described add up into a intensely versatile synthesizer. You can achieve a very, very wide palette of timbres. It can be big and punchy, fat, and can even create wild, otherworldly sounds. Comparatively, I must admit that the Prophet 6 and the ‘08 do have many similarities, but the depth of configurability runs a little deeper in the 6. Even more so, the Pro 2 has more options for sounds, but then again it is still only a monosynth. So, if you’re looking for a monosynth, the Prophet 6 can handle leads very well, but you may want to look for a single purpose instrument like Pro 2. In addition to sounding fantastic, the Prophet 6 also includes studio quality stereo effects like reverbs, delays, phasers, flangers, and phase shifters. Up to two effects can be used at once. This really gives an edge to the 6 compared to the ’08, which does not include any effects. All of the features on this synth add up to an incredible sounding instrument for the studio and the stage. The Prophet 6 is an incredible keyboard. If it weren’t for the hefty price tag, I’d have one in my studio right now. Though it has contemporaries within the brand even, the 6 meets even higher marks than the ‘08 and Pro 2. It is quite simply the best analogue polysynth on the market in my opinion and I encourage everyone to go and try it for themselves. 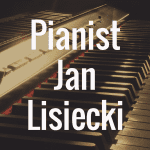 If you enjoyed this review, we encourage you to “like” our Digital Piano Review Guide Facebook page! Monophonic vs Polyphonic Synth: What’s Better? Analog Synthesizer vs Digital Synthesizer: Which is Better? 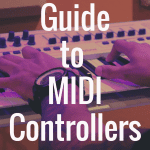 Beginners Guide to MIDI Controllers: What Keyboard to Buy and Why? 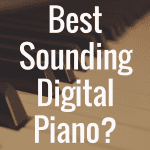 What is the Best Sounding Digital Piano?